EARLY REGISTRATION: Register by December 1, 2015, and be entered to win critiques, pins, or books!!! HOW TO REGISTER: Click here, or scroll down to register below. If you prefer to use snail-mail, download the registration form and mail it, along with a check payable to SCBWI Florida, to: SCBWI Florida, 125 E. Merritt Island Causeway #107, Merritt Island, FL 32952. · FULL CONFERENCE begins Friday, January 15, at 4:30 PM and runs through Sunday, January 17, at 2:00 PM (DOES NOT include Friday Comprehensives). The cost is $255 for SCBWI members ($280 for non-members). · SATURDAY ONLY attendance, SCBWI members pay $205 ($230 for non-members). · SUNDAY ONLY attendance, SCBWI members pay $80 ($105 for non-members). · FRIDAY COMPREHENSIVE attendance (for SCBWI members only) ADD $205 to your FULL CONFERENCE cost. (a $25 sign-up fee + the $205 comprehensive cost). · NOTE! 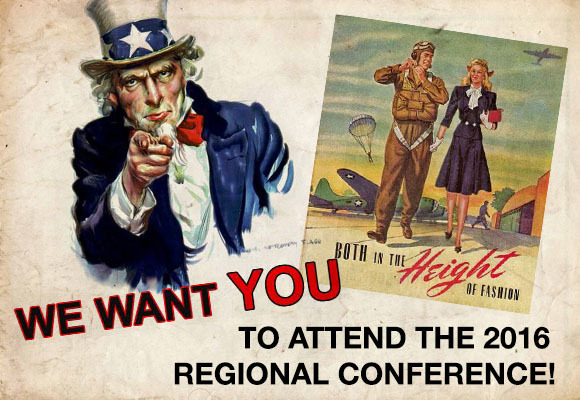 All conference fees increase $25 at midnight on December 12th, 2015. COMPREHENSIVE DETAILS: Friday, January 15 from 9 AM to 4 PM. A star-studded faculty lineup spends an extra day focusing on the craft of writing or illustrating. The $205 fee includes a buffet lunch and a first-page critique session (see submission guidelines under First Page Critiques). In order to attend, participants must be SCBWI members. CRITIQUES-MANSUCRIPTS: Email your manuscript (up to 10 pp) to: submissions@scbwiflorida.com. Please follow standard formatting guidelines (see "From Keyboard to Printed Page: Facts You Need to Know" here at www.scbwi.org). Manuscripts must be received by midnight December 12, 2015. Note: Although a picture book may have fewer than ten pages, each manuscript counts as a separate submission. You will receive an email confirmation informing you of the time and critiquer assigned to you. We do NOT honor requests for specific critiquers. NOTE! Each critique submission is $50. CRITIQUES-PORTFOLIOS/ART: Illustrators, bring your art to the conference. Do not send your work in advance. Send critique fee of $50 with your conference registration form no later than December 12, 2015. DAPPER DAYS DINNER DANCE: Let’s throw back to the forties and get dolled up for dinner and dancing. Don your dapper duds and throw your fedora into the ring for our annual costume contest. The winner will win a free critique! Dance to the debonair sounds of DJ Iggy from 7:30-11:00 PM. Our Saturday night parties are an SCBWI FL tradition! Tickets for those not attending the FULL CONFERENCE will be available for $50 at registration. FIRST-PAGE CRITIQUES: Bring the first page of your manuscript, double-spaced, 12-pt. type, one page only (starting at the top of page) to the registration desk before 4:30 PM on Friday, January 15. Include the title of the piece and genre at the top. No name. Panelists will select a few anonymous submissions to read aloud and critique on Friday at 5:00 PM. If your submission was read aloud at a Comprehensive, please submit a different piece for this panel. LIMIT ONE SUBMISSION FOR FRIDAY’S PANEL and ONE SUBMISSION FOR A FRIDAY COMPREHENSIVE. All submissions will be recycled afterwards. HOTEL: Sheraton Miami Airport Hotel. Rooms are $169/night for a single and $179/night for a double (subject to change). For reservations, call the hotel at 305-871-3800 or 1-800-325-3535. A free shuttle runs from the airport to the hotel every 15 minutes during the day and every 30 minutes at night. Click the link below to acces the SCBWI specific booking deals. Saturday: Buffet breakfast in the Rickenbacker Restaurant is included with hotel registration (meal ticket received at check-in). Coffee and tea included outside conference room all morning for all attendees. Lunch buffet will be served for all attendees at the Rickenbacker Restaurant. Saturday Only Attendees: Lunch included. If you wish to attend the Saturday night Dapper Days Masquerade, you may purchase a ticket for $50 at the registration desk. Vegetarian/Gluten meals available. Please alert us to gluten free or vegan meal needs in the comments section when you register. NEWSLETTER: Our newsletter, written by Mindy Weiss, is available at www.scbwi.florida.org and is chock full of member good news, market information, and the latest word on conferences, contests, and events happening all around the state! PINS: Add our SCBWI Florida Regional Conference 2016 pin to your collection! Each year, we feature a different illustrator, and this year’s pin will be designed by Debbie Ridpath Ohi. Proceeds from the sale help finance free events around Florida. PORTFOLIO/ART EXHIBIT: Illustrators, take advantage of three feet of table space provided for you to exhibit your portfolio on Saturday, January 16. Bring plenty of handouts and display props (such as a tabletop easel). Original art is not permitted, as SCBWI cannot be responsible for any loss or damage. Drop off illustrators’ portfolios on January 16 before 8:30 AM outside the main conference room for the art show. Please contact Angela Padrón at angela.padron@hotmail.com for more information. · Overnight parking, $15; daily parking, $7. · Bring a new or gently-used children’s or YA book to put in our donation basket which will be donated to Urgent, Inc, (www.urgentinc.org) a community development organization dedicated to empowering young minds to transform their communities. · Check the website and social media as we get close to the conference for agendas and homework. SALES OF BOOKS: Faculty and SCBWI members attending the conference may sell their books through our on-site bookseller, Books & Books. Contact Linda Rodriguez Bernfeld (lindabernfeld@gmail.com) by December 1, 2015, with your book titles/ISBN numbers. Only PAL (Published and Listed) members are eligible to sell books. Please visit www.scbwi.org to ensure your publisher is PAL-approved. The conference bookstore will be open Fri – Sun, and our Autograph Party will be on Sunday, January 17 at 1:00 PM. SIGNING PARTY: Our book signing closes the conference on January 17, from 1-2 PM. Come mingle and meet your favorite authors, illustrators, and faculty members. Get your books signed and photographs taken—a great way to end the weekend! SOCIAL MEDIA/WEBSITE: Visit our website, www.florida.scbwi.org, for more information and FAQ’s. Contact Co-Regional Advisor, Curtis Sponsler, webmaster@scbwi-fl.com, for any updates or troubleshooting. We can also be found on Facebook at our Florida SCBWI Page and Twitter at . 6:30 PM – Reception at Books & Books. There will be a cash bar. 7:30-9:00 PM – Enjoy dining on your own at Books & Books or on famous Miracle Mile. Buses will depart every half hour. Last bus departs Books & Books at 10:00 PM. 7:30-11:00 PM – DAPPER DAYS DANCE! ___ A. Jonathan Mayberry: WRITING COMICS AND GRAPHIC NOVELS: Nothing is hotter at the box office than movies based on comics –from The Avengers to Persepolis to 300, comics are massive. Monthly comics and graphic novels are moneymakers for writers. This workshop will discuss the evolution of graphic storytelling; visual storytelling; scripting; script format and variation; art and words; pace; character development; short and long form storytelling; etiquette of the comics industry; finding markets; pitching comics and graphic novels; and what to expect in the business. ___ B. Karen Grencik: 101+ REASONS FOR REJECTION: In this breakout session, we will cover the most common reasons for rejection and look at examples of real manuscripts and rejection letters. The handout gives actual reasons for rejection, which is not to discourage one but to show the in-depth analysis that each manuscript undergoes. By being aware of these examples, hopefully you can eliminate a few of the possible reasons for rejection before making your submissions. ___ E. Pat Cummings: THE PLOT THINS: Self-editing your way to a lean, mean, elegant book. ___ F. Natashya Wilson: CHARACTER WEBS—YOUR NEW BEST FRIEND … OR ENEMY! : This workshop takes its inspiration from Natashya’s favorite story wizard, John Truby, based on his book The Anatomy of Story. Advice will include how to create a character web that strengthens a story without allowing for extraneous characters. This is one of Natashya’s favorite things to refer to when she writes revision letters. ___ G. Alex Flinn: COMBINING FAIRY TALES AND FANTASY INTO REALITY: In this workshop you’ll learn how best-selling author Alex Flinn uses fairy tales to create books such as Beastly, Bewitching, Towering, Mirrored, and more. ___ H. Lorin Oberweger (PAL workshop! ): TURNING UP THE HEAT: HOW TO CREATE DYNAMIC, HIGH-TEMPERATURE SCENES EVEN WHEN THINGS AREN’T EXPLODING: Many writers create exciting premises, dynamic story openings, and shattering story climaxes, but too often their middle sections sag, or the narrative feels as though it unfolds at the same level of intensity throughout, risking a loss of reader involvement. In this workshop, we’ll examine the concept of high and low temperature scenes—and plot lines—and discuss subtle and more overt ways in which we can deepen and add complications, create tension on the page even in quieter moments, and keep the story zooming along rather than spinning its wheels. We’ll work together to turn up the heat on student stories, ensuring readers come away satisfied and wanting more. ___ I. Tammi Sauer: PSST! TAMMI’S TOP PICTURE BOOK WRITING SECRETS—REVEALED: Tammi will unveil her favorite picture book writing secrets. Through discussion, examples, and engaging exercises, we will focus on the key picture book components (character, conflict, word choice, pacing, etc.). We will also explore what to include in a picture book's beginning, middle, and end as well as strategies for building the much-sought-after heart and humor into your manuscripts. ___ J. Debbie Ohi: SOCIAL MEDIA FOR AUTHORS AND ILLUSTRATORS-MASTER CLASS: Debbie will offer advanced tips for those already familiar with the basics of social media. Advice will include how to use social media to create buzz for your books without spamming your followers, time management tips, and some Do's and Don'ts when it comes to networking with agents, editors and art directors. ___ K. Linda Epstein: ANATOMY OF A QUERY LETTER: What does a successful query letter consist of? What should you definitely include and what should you definitely leave out? We go over how to craft a query letter, from head to toe. ___ M. Laurie Calkhoven: INNER LIVES: USING MEDITATION TO DIG DEEP INTO CHARACTER: This workshop focuses on creating and bringing characters to life. Using relaxation and guided meditation, writers are able to breathe life into their characters and make all kinds of exciting discoveries about who they are and what they want. Meditations are followed by writing periods and opportunities to share work. The focus is on exploring new territory with your characters and your story. No previous meditation experience necessary. ___ N. Christian Trimmer: THE 1%: Simon & Schuster executive editor Christian Trimmer receives dozens of picture book submissions every month and rejects 99% of them. Learn what separated that 1% from the rest of the stack (it’s much more than just the writing). He’ll then take you through the editing process of one of the books that made it onto his list. ___ O. Lorin Oberweger (*NEW PAL workshop! ): MORE THAN A FEELING: EVOKING READER EMOTIONAL RESPONSE: Books get their power from involving the reader on an emotional level, compelling their apprehension, empathy, and investment in a character’s journey on the page. In this hands-on workshop, we’ll work with several tools for creating a richer emotional landscape in your stories. From the employment of specific types of imagery, to techniques of voice, to figurative language, subtext, and more, writers will come away with a new mastery of emotional elements that will make their writing richer and more powerful. December 1, 2015: Deadline for Early Registration and to be entered to win prizes! January 16, 2016: General Registration, 7:00-8:30 AM. Drop off first-page critiques by 9:00 AM. Illustrators drop off portfolios between 7:00-8:00 AM in the main conference room for art show.